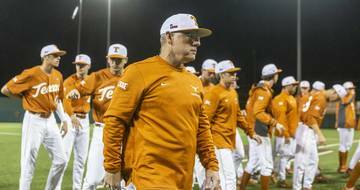 If Texas baseball coach David Pierce ever had questions about how his team would deal with adversity, he’s about to get some answers. 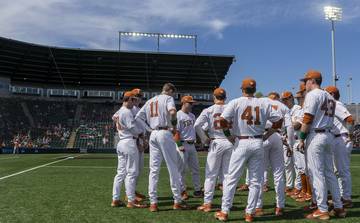 Jordan Wicks threw a complete-game shutout Sunday as UT ended its weekend with a 2-0 loss to Kansas State at UFCU Disch-Falk Field. After the loss, Texas (23-15, 5-6 Big 12) saw its conference record slip under .500 for the third time this season. The No. 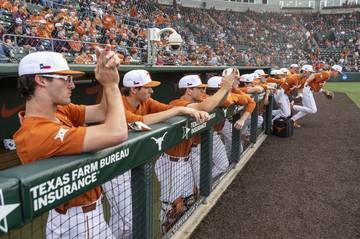 14 Longhorns’ spot in the D1Baseball poll is also certainly in jeopardy. 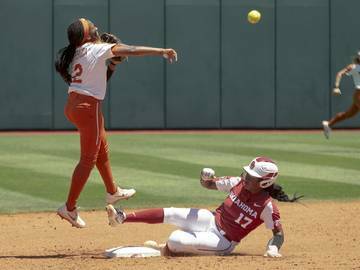 Texas had split the weekend’s first two games with Kansas State (16-21, 3-6). This is the second straight season that Texas lost a series against a Wildcats program that last reached the NCAA Tournament in 2013. “We let a lot of people down today, mostly ourselves,” Pierce said. 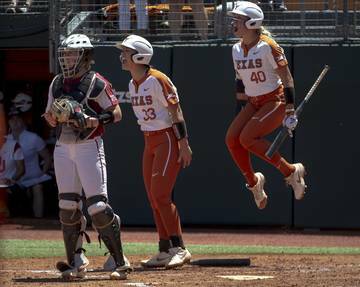 Texas slipped to 6-3 in Big 12 play after last year’s series in Manhattan, but the Longhorns rebounded in time to win the conference’s regular-season championship with a 17-7 record. 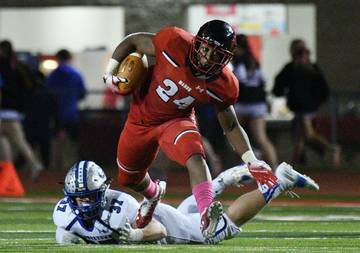 The hole dug against the Wildcats this year might be tougher to climb out of. 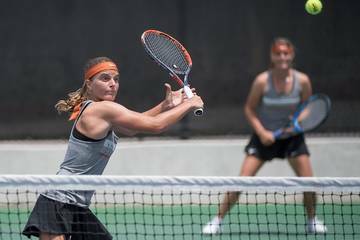 Baylor entered Sunday with a conference leading 7-3 mark, and Texas still has series scheduled against competitive Oklahoma State, West Virginia and Oklahoma programs. Coy gave up three hits and a walk to the Wildcats and was pulled after the leadoff batter reached base in the third inning. Cobb is 0-3 this season. He has made it to the fifth inning in only two of his eight starts. On Sunday, Cobb was shown up by a fellow freshman. In a five-hit, six-strikeout performance, the left-handed Wicks threw 129 pitches. Wicks walked four batters over the first two innings, but those were the only free passes he issued. Texas stranded runners on second base in four of the first five innings. 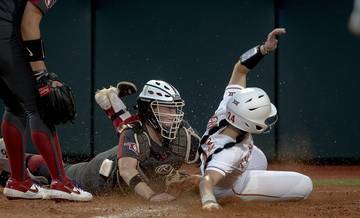 Texas was last the victim of a complete-game shutout in 2016, when Oklahoma State’s Thomas Hatch beat the Longhorns 3-0. 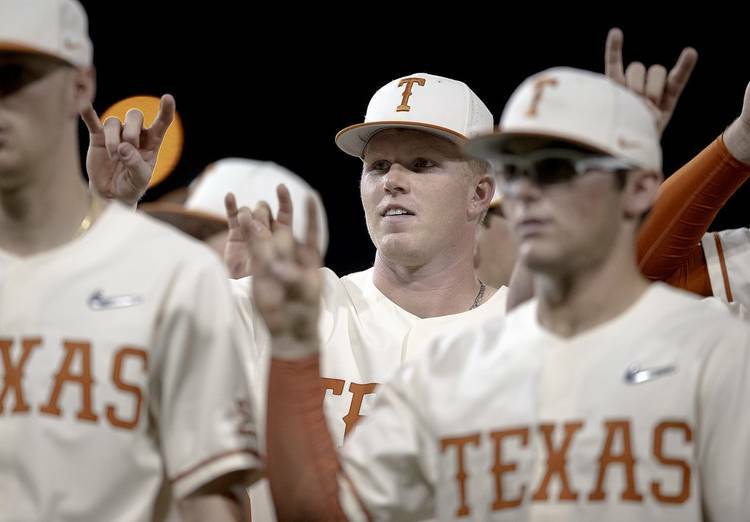 Catcher Michael McCann, pitcher Bryce Elder and Reynolds were recently designated as Texas’ captains. Pierce said those players “need to take this responsibility” when it comes to leading the Longhorns. Around the bases: Kansas State’s Cameron Thompson hit a home run on the game’s second pitch. The Wildcats bunted in the only other run in the fourth inning. … Texas reliever Tristan Stevens struck out four Wildcats over 2 1/3 innings. It was a career-long outing for Stevens. … UT senior Tate Shaw went 0-for-4, snapping a nine-game hitting streak. 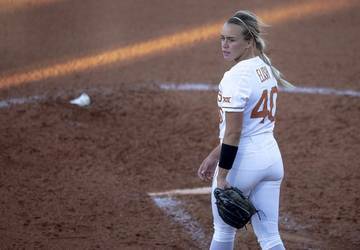 … Texas will return to the field Tuesday for a home game against Lamar (13-23).